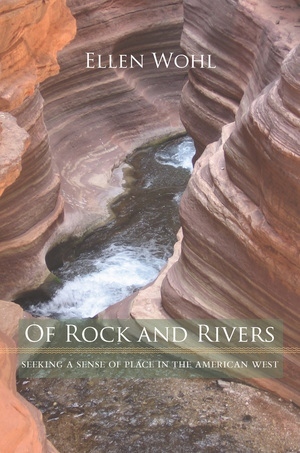 This beautifully written and deeply personal collection of essays paints a progressive view of the American West as seen by a geologist. Ellen Wohl traces her twenty years of living and conducting research in the natural landscapes of the West as she investigates the conflict between environmental history and widely held romanticized views of the region. Wohl grew up in Ohio, subscribing to a common perception of the American West as an unchanged frontier. Moving to Arizona, she became enthralled with how the landscapes and ecosystems of the West have undergone change, both through geologic time and during the historical era of European settlement. These essays tell of her early training as a geomorphologist and provide a memorable account of her research in the rivers of the West. As the lessons accrue, Wohl gives us the benefit of her experience and shows how years of studying and living in the Colorado Rockies have enhanced her understanding of landscape change through time. Building on the literary tradition of Joseph Wood Krutch, Terry Tempest Williams, and John McPhee, Wohl provides an up-to-date portrait of the West and brings a new urgency to the call for conservation of the region's land, water, and resources. Ellen Wohl is Professor of Geology at Colorado State University and the author of Disconnected Rivers and Virtual Rivers, as well as Rain Forest into Desert.